The International Melges 24 World Championship event attracts some of the best yacht racing professionals in the world including Americas Cup and Volvo Ocean Race veterans. 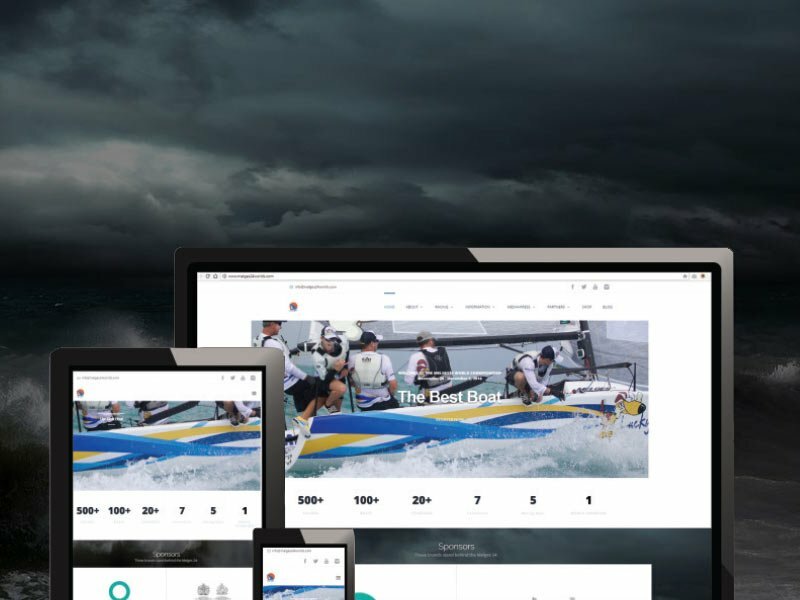 We were tasked with completing a website that would sync with the brand, increase participation, attract corporate sponsors, and give the on the ground team the ability to quickly update the site with media content before and during the event. To deliver, we utilized the WordPress platform incorporating social media such as Youtube and Instagram feeds.